Does Lotto Prediction Really Work? Read Reviews! 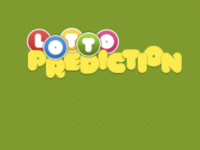 Lotto Prediction is a website that features lottery predictions for a vast range of games in many countries. There are four different prediction algorithms to choose among. Are you getting tired of apps and software products that promise to make you the next millionaire? We are too! Still, such solutions keep on popping up and in order to make your life easier, we’ve decided to review as many of them as possible. Lotto Prediction is yet another entry in the same niche. Unlike some of the other apps, it has a pretty well-developed and informative website but does the predictor really work? Let’s find out. As the name suggests, Lotto Prediction is a tool that makes it easier for you to choose lottery numbers bound to increase your chances of winning. So far, nothing different. There are dozens of software products out there that make similar bold claims. The one thing that could potentially differentiate Lotto Prediction from other solutions is the vast array of lotteries that the tool applies to. There are games from America, Europe, Asia, Africa, and Australia included in the database. Additionally, there seem to be several predictive mechanisms that the members could rely on. We’ll take a deeper look at these in one of the coming sections of the review. According to the official presentation, the website offers advanced lottery prediction methodologies based on math and statistics. Additionally, members can share their predictions with other members. While this seems to be a fun solution, it doesn’t add a lot of value to the system. After all, what are the credentials of the people that are making predictions for you and can such predictions be trusted at all? Here’s where things become somewhat interesting. If you take a quick look at the website, you’ll immediately see that you can join the community for free. The footer, however, features a discrete Prices tab that sheds some more light on the amount of money you should be prepared to spend on eventually increasing your chances of becoming richer. The advanced predictions (the ones that are created by the supposed experts in the field) are not available for free and they can’t be tested out. A single prediction for one lottery drawing will cost you 1.49 dollars. If you want to get predictions over the span of a month, you’ll need to spend 2.99 dollars. A one-month access that gives you all the predictions for all of the included lotteries over this period of time will cost you 9.99 dollars. While there are four lottery prediction methodologies being advertised, only one is of some interest and that’s the advanced prediction tool. The others are the user prediction, wisdom of crowd prediction and the algorithm prediction. The user prediction, as the name suggests, are generated by members of Lotto Prediction. Supposedly, you can track the accuracy and the success rates of the different individuals who try to predict lottery outcomes. According to the website, the user predictions have resulted in winnings of over 13.645 million dollars so far. How this number has been derived is nearly impossible to tell. The number is also impossible to verify. The wisdom of crowd predictions is an algorithm that supposedly tracks all of the predictions portal members have made. This way, trends, and patterns are getting identified for the numerous lotteries featured on Lotto Prediction. The official presentation suggests that this tool has produced lottery prizes exceeding one million dollars. Algorithm lottery prediction does not rely on human input but rather calculates probabilities for certain numbers featuring among the winning ones. Finally, we’ve arrived to the star of the platform – the advanced lottery prediction. According to the presentation, this tool relies on math and statistical algorithms to compare past winning numbers and identify hot and cold patterns. It’s easy to conclude that the advertising sounds great but there isn’t an awful lot behind it. Hot and cold lottery numbers have been around for as long as lotteries have existed. There is nothing particularly innovative or exciting about such methodologies. While hot and cold numbers could increase the odds of picking the winning numbers, there are ways to access such digits without having to pay a monthly subscription. The terms and conditions are pretty standard for software of this type. Just like all other entities releasing lotto number generators, this one is eager to tell you that winning isn’t guaranteed. You’re using the prediction tool on your own free will and you also have to accept the very likely scenario of not winning anything. An exclusion of liability clause is included in the terms and conditions. This means that you cannot hold the website team accountable if you lose a significant amount of money by relying on the services provided via the platform. Lotto Prediction is a tool available solely to individuals aged 18 or older. If the person lives in a country where the legal age limit for playing the lottery is higher, that age limit is going to apply instead of the standard threshold. There are no warranties and Lotto Prediction should be perceived as an entertainment platform as per their terms and conditions. Obviously, this clause takes away from the seriousness of the claims made on the homepage and the other advertising parts of the website. When you go to the Contact Us page, you will not see a physical address or a phone number that you can rely on to contact the support. There’s only a standard online form you can use to submit an inquiry. The fact raises a red flag – any reputable team that’s confident in the quality of its product will stand proudly behind it instead of being ambiguous and anonymous online. Going to the About Us page doesn’t provide a lot of additional information about this revolutionary lottery development. Supposedly, the website is created by a “small team of dedicated lottery lovers.” That’s the blandest and generic statement you can ever come across. It doesn’t reveal anything about the knowledge or the credentials of the people who have come up with the advanced lottery prediction algorithm. Doing a Whois checkup on the website does not make things any clearer. The domain is purchased anonymously instead by an individual, a company or an enterprise. There is no information about the names of the people who are behind Lotto Prediction or the country where the business is situated. The company’s Facebook page is disabled and the Twitter has not been updated since 2012. If you’re looking for support, chances are that you may run in some problems. We advise you to be careful with the use of such platforms, especially if you intend to spend money on the solutions they offer. Would you mind rating Lotto Prediction? If you want to join Lotto Prediction for free and just for the sake of it, you can definitely do so. You will get access to the predictions generated by other users and nothing else. While this may seem like a neat and entertaining little option, it doesn’t add a lot of value to the service you’re getting access to. Spending money on this software will be a serious waste. The website doesn’t do anything revolutionary, anything that you can’t find for free on the web. The fact that the team has decided to remain anonymous and hide behind blanket statements isn’t a positive sign either. Reliable businesses aren’t afraid to present themselves and to reveal information about who they are and what makes them experts. Don’t waste your money on Lotto Prediction, it’s simply not worth it! Just because a few free possibilities are available, however, this platform gets a 3 out of 10 stars rating.